Tempting appetizers like Oyster Cocktail-Sauce Antibes and Eggs Bernard are traditional Crescent City favorites. These are often served along with famous New Orleans soups, including Oyster Gumbo Filï¿½ and Cream of Crab Soup. To accompany the appetizers and soups, this cookbook also includes easy-to-prepare and delicious entrï¿½es-Jambalaya, Cheese Soufflï¿½ Natchitoches, Trout Louisiane, Spanish Oysters, Creole Pork Chops, and Chicken ï¿½ la King are just a brief sampling. And no meal would be complete without zesty side dishes like Creole Corn Pudding and Potatoes Bonhomme. Finally, delectable desserts, perhaps Creole Pecan Pralines or Caramel Dreams, will offer a jazzy flair to any New Orleans meal. 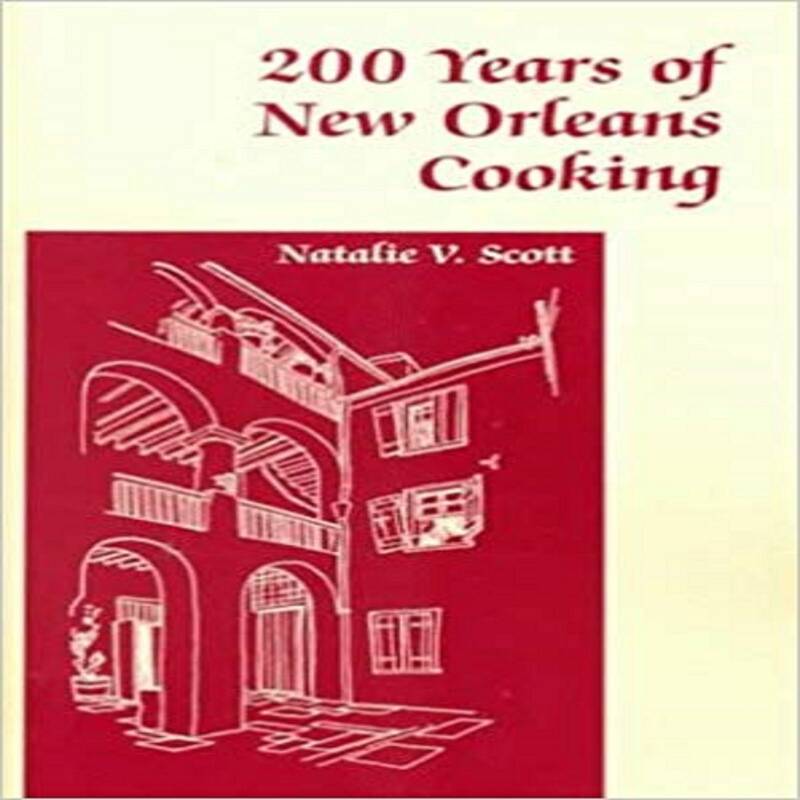 200 Years of New Orleans Cooking celebrates New Orleans' rich culinary history, a tasty history that, with this cookbook, everyone can now enjoy. Natalie Vivian Scott (1890-1957) was a unique woman who is remembered for her contributions to literature and various causes. She served as a Red Cross nurse during World Wars I and II and received the Croix de Guerre, France's highest medal for bravery, for rescuing patients from a bombed medical building where she worked. She continued to pursue a career in journalism after the war and received recognition for her literary efforts. Scott was even described by author Sherwood Anderson as "the best newspaperwoman in America." She eventually opened the Kitigawa House in Taxco, Mexico, a pension for artists and writers, while assisting William Spratling in developing the silver industry for tourists. Her affection for New Orleans and theatre led to her role in the founding of Le Petit Théâtre du Vieux Carré, one of the oldest community playhouses in the United States. Scott's interest in the city's culture is apparent in her books Gourmet's Guide to New Orleans: Creole Cookbook and 200 Years of New Orleans Cooking, both published by Pelican.